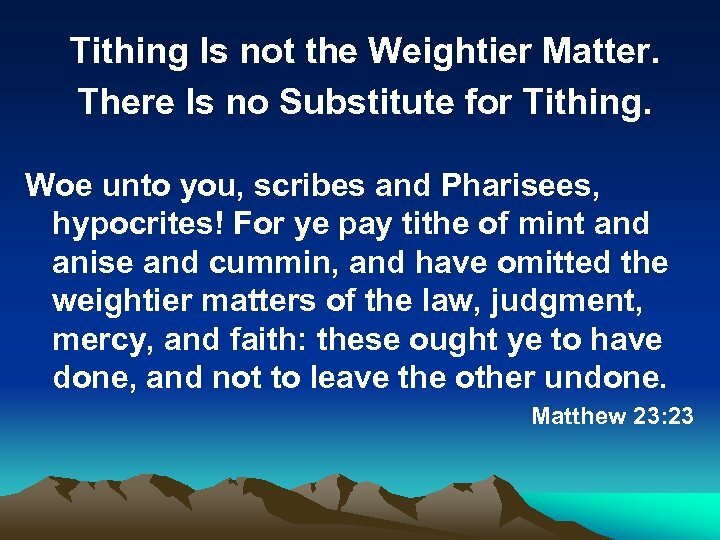 Bring ye all the tithes into the storehouse, that there be meat in mine house, …. 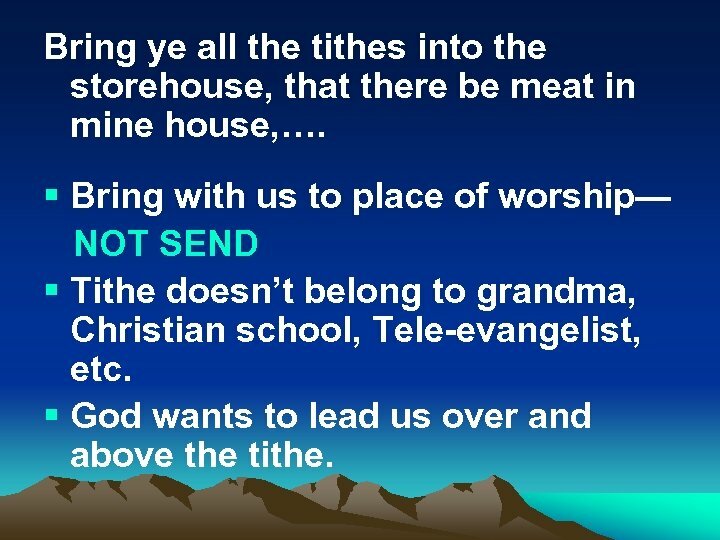 § Bring with us to place of worship— NOT SEND § Tithe doesn’t belong to grandma, Christian school, Tele-evangelist, etc. 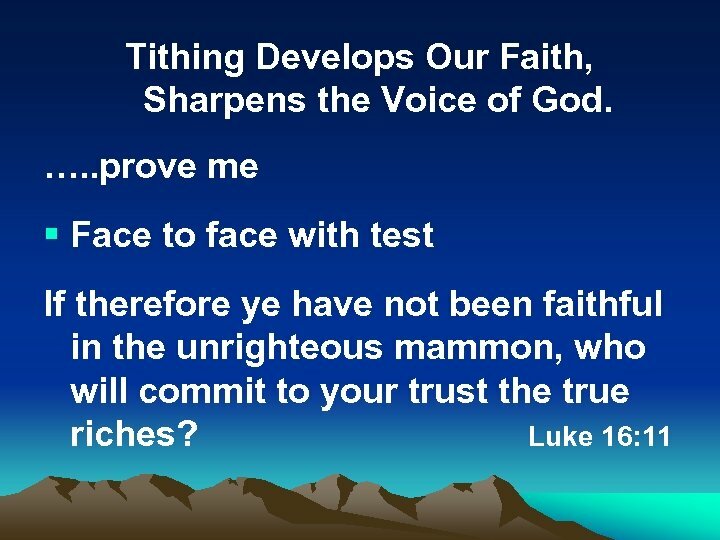 § God wants to lead us over and above the tithe. 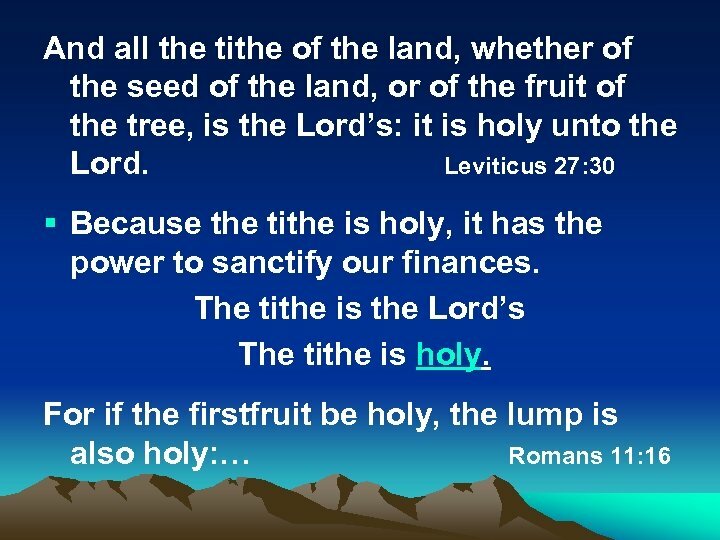 Tithing Brings Honor to God. 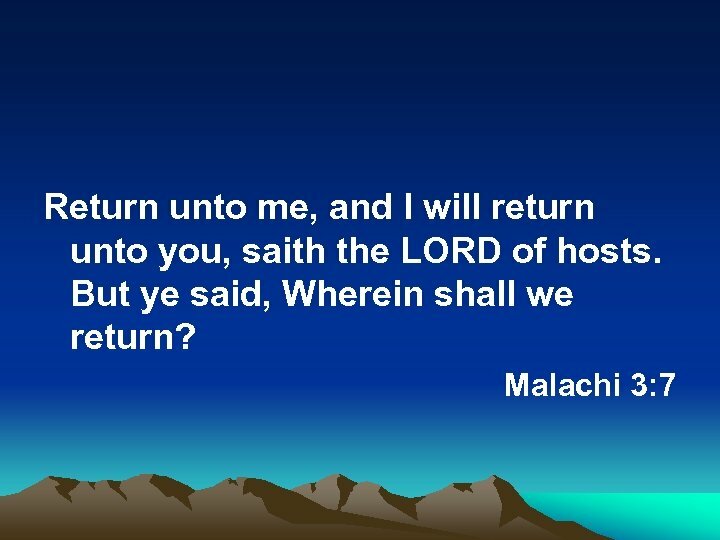 And all nations shall call you blessed: for ye shall be a delightsome land, saith the Lord of hosts. 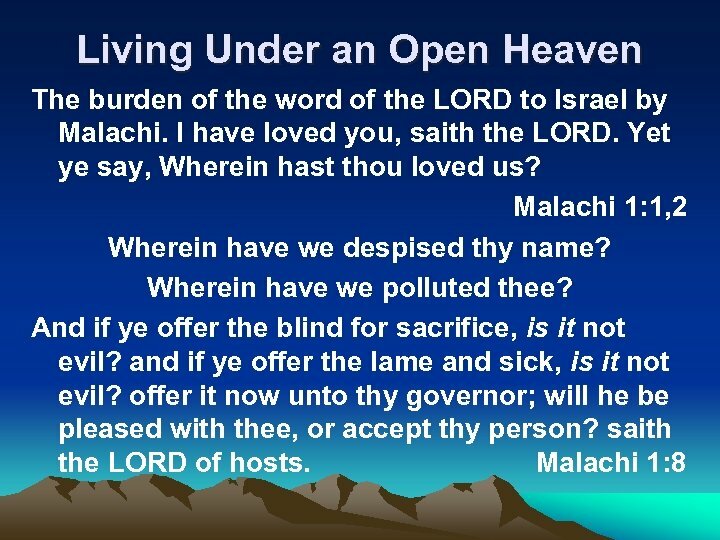 Malachi 3: 12 § Testimony to others of God’s faithfulness. 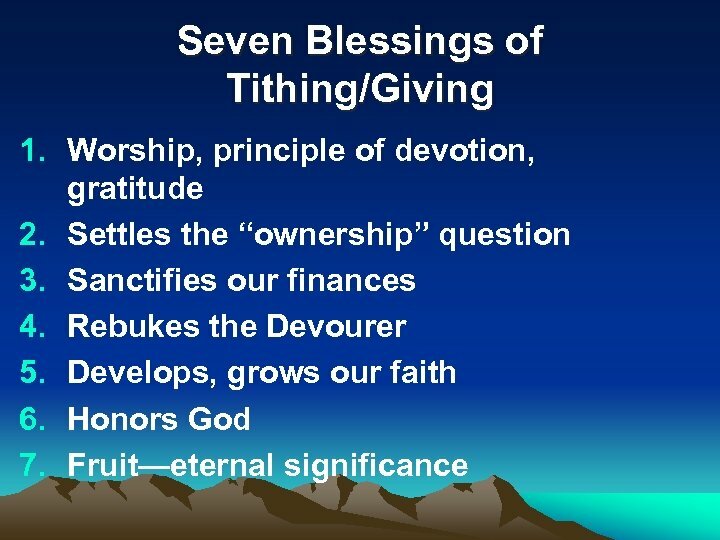 § Tithing helps you live contently in a discontented world. 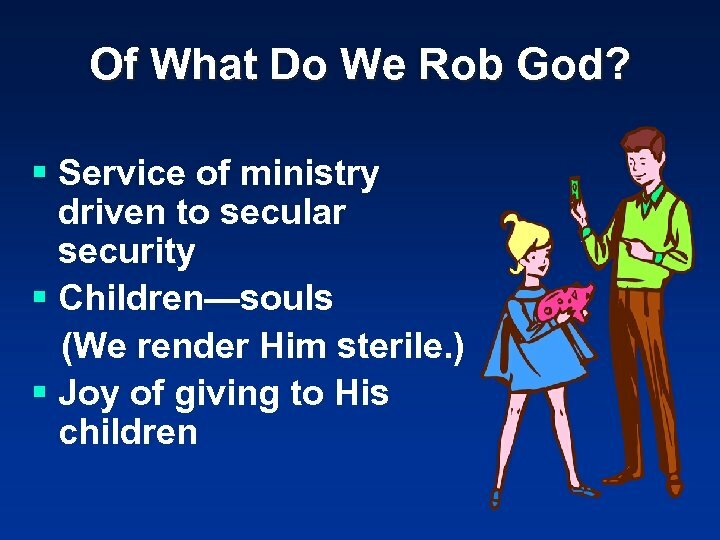 § Tithing helps you live simply in a materialistic world. 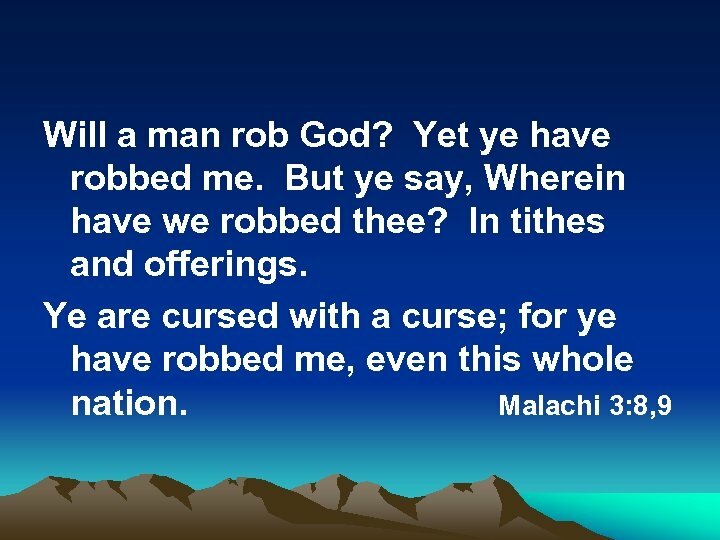 § Tithing brings security in a fearful world. 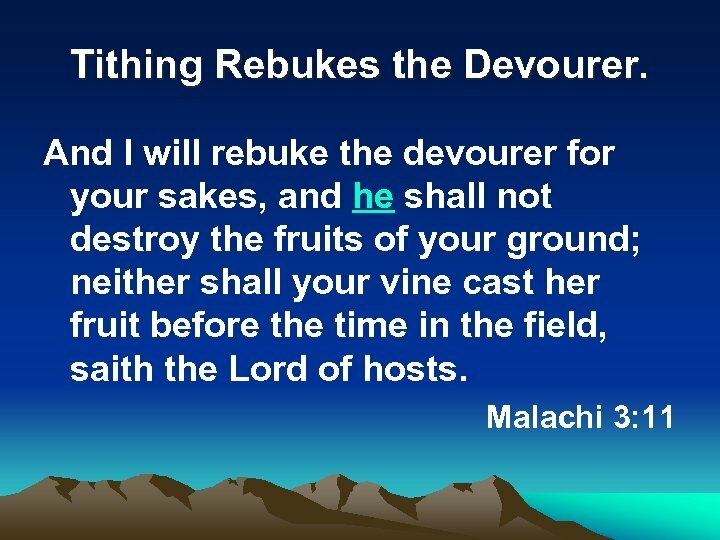 § Tithing is holy in a sinful world. 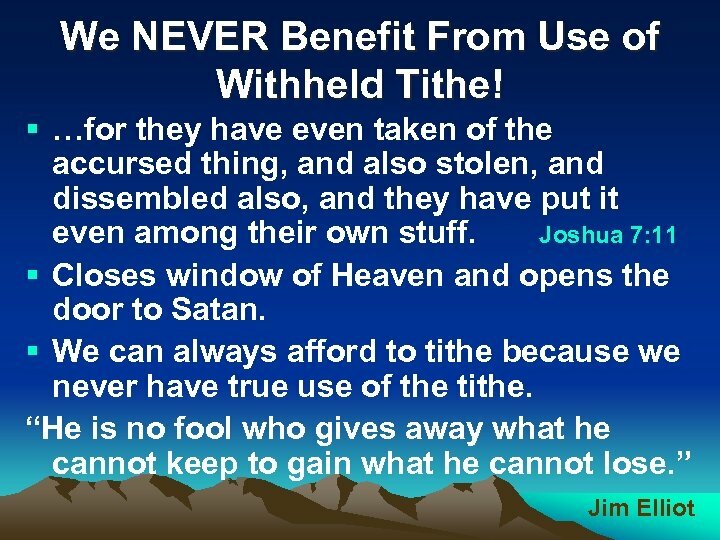 There Is No Shortage of Money in the Church. 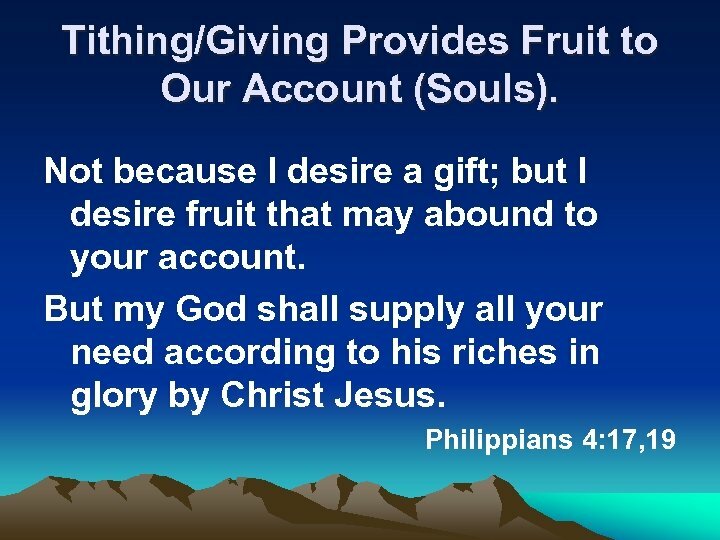 God’s work done in God’s way for God’s glory will never lack God’s supply. 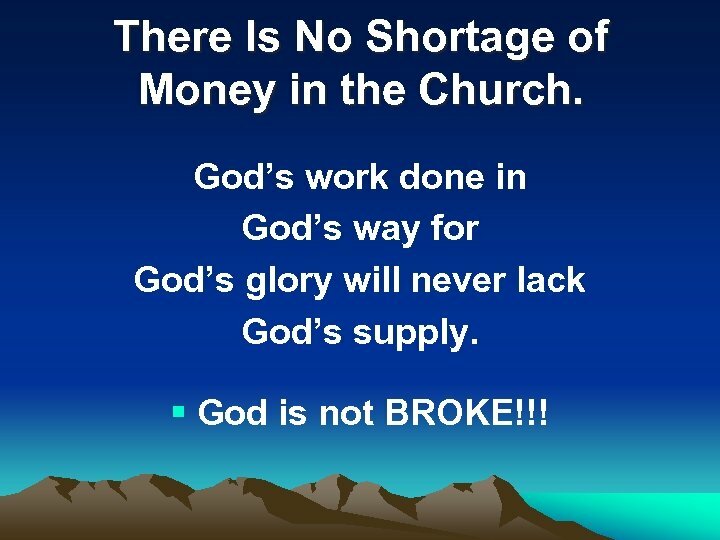 § God is not BROKE!! !